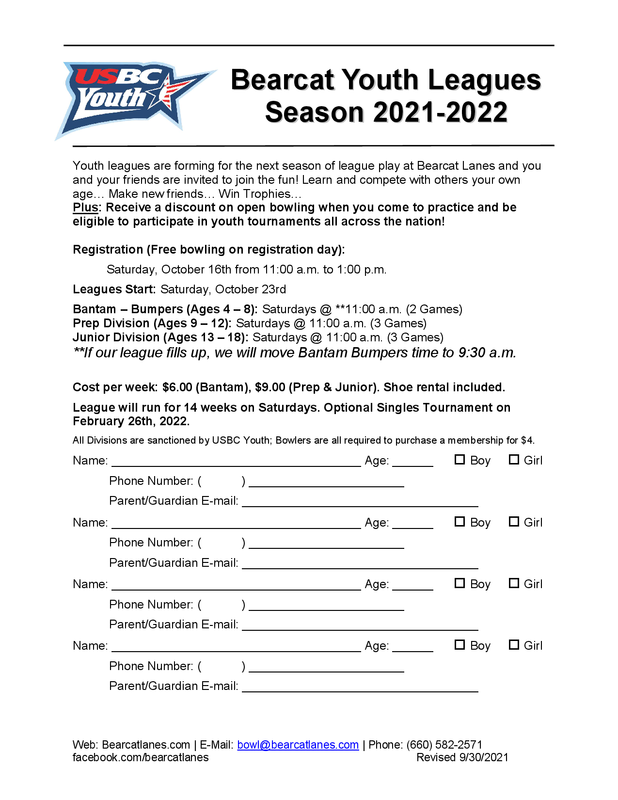 You may print a copy of the following registration form and turn in the registration at Bearcat Lanes. Click below on the form to open a new window. You can then print the form from your browser. 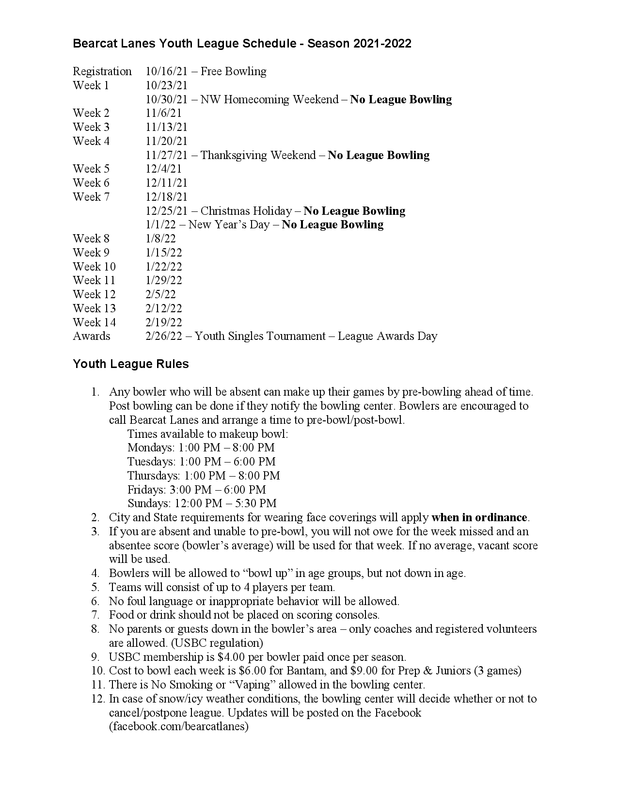 © 2019 Bearcat Lanes, LLC.